Some of Ireland’s brightest young minds gathered in DIT for the Engineers Ireland sponsored Engineer Your Future challenge. 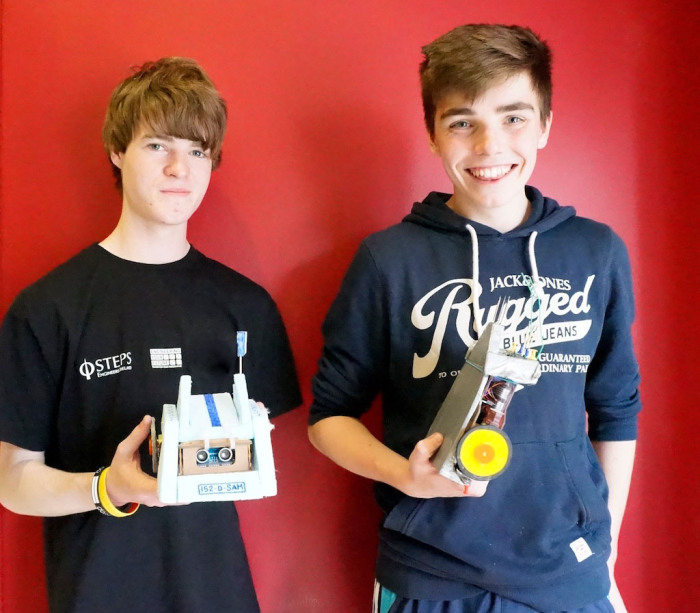 The week ended with a hotly contested knockout Roboslam competition in the Bolton St campus on Friday 15th May 2015. Niall Duffy from St. Kevin’s College Finglas (left of picture) was the overall winner of the tournament. The runners-up prize went to Bill O’Hanlon from St. Patrick’s College Cavan (on right). Their robots were the last ones standing in the knockout competitions. This year the design prizes were dominated by some very talented young female engineers.